Here at Working with Dog, we are passionate about building dog brands. I mean, we’re literally writing the book on it… We definitely believe this is the secret sauce that separates the great from the many. But branding can often be misconstrued as just ‘a fancy logo’ or ‘pretty packaging’ [which are both important but not all-encompassing] – we believe the brand is the foundation – just the beginning – the very first stage of marketing. The purpose of each stage is to ultimately ensure that you always have a long list of people lining-up to work with you. The key to making these stages work, is to to make it a solid part of the routine in your business [for you and for your team too if you have one]. This routine should be built around the process of finding new leads, moving them through the stages of the ‘sales funnel’ and slowly changing them from ‘stranger’ to ‘friend’ and along the way… converting them into paying clients! This is not nearly as complicated or time-consuming as it sounds when you plan it in to your daily activities. In fact, the big scary ‘Marketing’ monster, can actually be quite simple and doable when you start to break it down into small bite-sized chunks. Need help with this? Join us! This is my favorite stage. As I mentioned, this is where the branding bit happens, but that’s only one part of your marketing strategy – which is the beating heart of creating revenue for your business. I want you to think for a minute about a dog. Your dog, or a dog you know or love. Consider their ability to assist us in hundreds of ways, from bomb sniffing, seizure detecting and poacher tracking to their mid-air ball catches – their uncanny ‘don’t be sad mom’ snuggle timing – the way they know exactly where that snack was on the sidewalk last time you passed by… their obsessive pee-sniffing… All of this magic comes down to their highly sensitive, tightly honed senses. All of the skills dogs have come from a bundle of clever, muscular mass informed by super-human sensory input. Sense of Self / WHY do you do what you do? What do you stand for? Sense of Sight / WHO are you for? Who are you NOT for? Sense of Hearing / WHAT do your people want and what will they pay for? Sense of Touch / WHERE do your people encounter you? 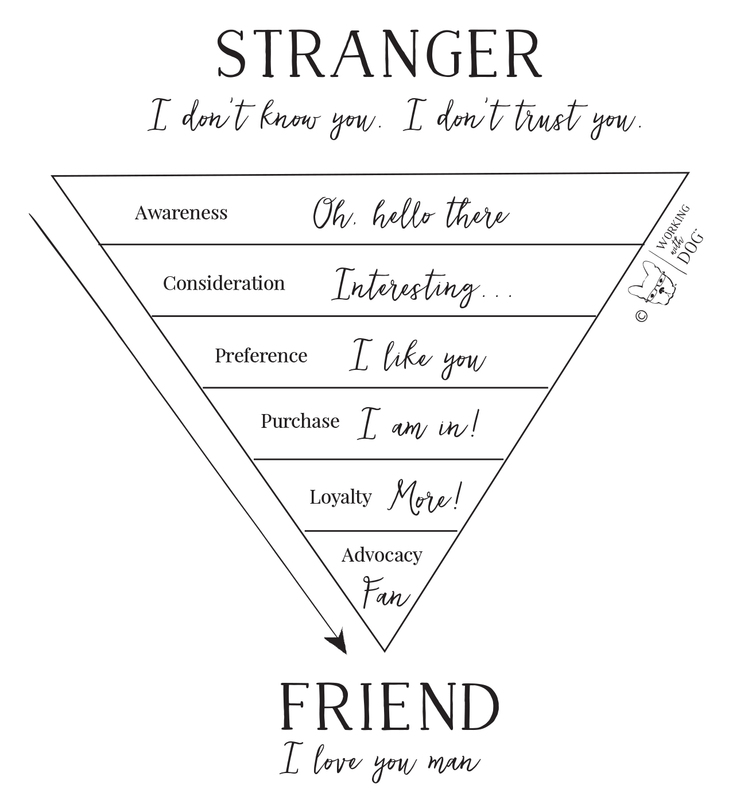 Sense of Taste / HOW [pre-sale] How do you optimize for the ‘easy yes’? Sense of Smell / HOW [post-sale] How do you keep demand + desire high? Helping you discover and optimize these senses is what I do best in my 1:1 consulting and courses, this is my super-human skill, but you can get a long way on your own by simply addressing each of these senses, in order. Do this BEFORE you start placing Facebook Ads or sponsoring events… This is the only way you’ll know who you should be speaking to and what you hope to get out of these activities. 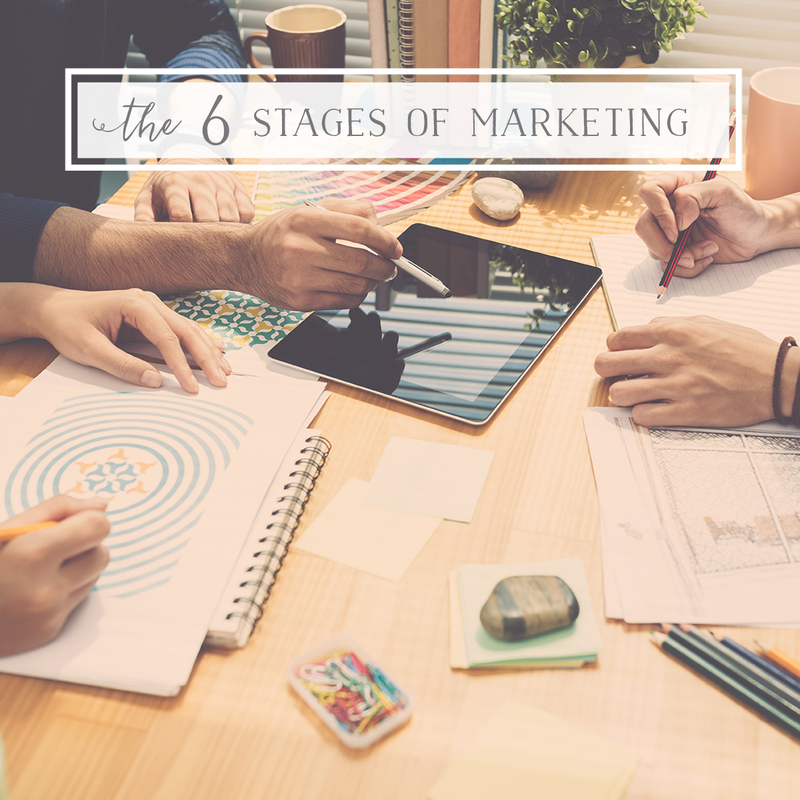 This is one of the most important (and often ignored) stages in marketing! Engaging is all about starting conversations: creating + sharing content with your target audience. This is not a hard sell, it generally shouldn’t be about YOU at all – we want to generously offer valuable content & insights on topics that will interest our potential customers. This stage is all about building relationships. A conversion is the process of causing something to change – you want your audience to ACT! Our favorite tools to increase conversions are: Powerful Promotions, Urgency & Scarcity and Referrals [Word-of-Mouth] – need help with this? Get inside #wwd and we’ll teach you! Scale Your Successes – When you find something that works – scale it up!